2015 Reader's Favorite International Book Award - Silver Winner. Gripping Memoir, Hailed "An Instant Classic" by Critics, Shares Journey of Love & Life through the Inspirational Eyes of Man's Best Friend... Crafted from the heart and experiences of L.B. 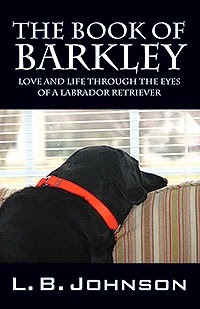 Johnson, 'The Book of Barkley: Love and Life Through the Eyes of a Labrador Retriever' takes readers from the author's depths of grief and personal despair to an empowering new life chock-full of love. But Johnson's radical life change didn't come from finding God or attending a cookie-cutter support group, but instead from a black Labrador called Barkley who taught her the real, innate meaning of love. In a wholly-unique and uplifting new memoir, Johnson tells the deeply-personal story of her life and experiences with a rambunctious Labrador Retriever named Barkley. It's not just a story of one woman and her dog; but a bold journey to discover what love really is, and why learning to live like a dog gives humanity a powerful new meaning. I have had good careers, both as a professional pilot, and after getting a Ph.D. in a Criminal Justice related field, working in that field as an investigator. But it is the things I have been able to do with the proceeds of my book that has meant the most to me. All of the proceeds of my writing go to animal rescue non-profits, from some large organizations to some tiny ones, who find fundraising more difficult. I provide autographed books for auctions and help promote those events, through social media, or in person. If I can just save one small little soul with this work, it is worth it. My Mom was diagnosed with cancer when I was four. She was sick much of my childhood so our home was often one of relative quiet, with lots of reading. 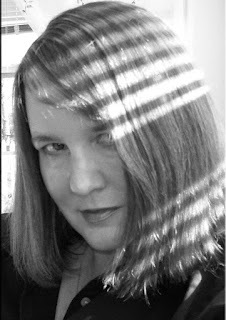 I learned to look at the world with a keen eye on detail and a love for language that was beyond the scope of my years. I kept a journal to capture stories for the daughter I gave up for adoption as a teen in case I was able to meet her one day (I did). 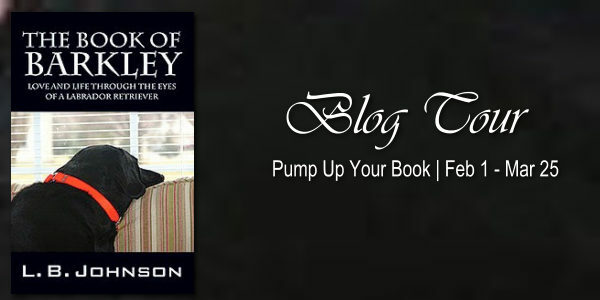 Social media and blogging helped me gain confidence and the book just naturally followed. I had teachers in grade school that encouraged both reading and writing, and supported us even at a young age, in those efforts. My Dad saved some of those writing efforts. They are comically bad, but I appreciated a teacher who promoted the process. I had a story published in a national magazine under my maiden name. Seeing it in print and holding that in my hand was the confidence I needed to say “I am a writer”. We all have so many stories, especially the older generation. I want to continue to capture them as there is such much to be learned from that. Memoir. A person’s history and experiences are almost limitless. I lost my beloved dog Barkley and my only brother within weeks of each other, both to sudden, aggressive cancers. I wanted a book to capture both of their memories. My family has been the foundation of so much that I have written about, and they continue to be my support. The editing process can be daunting and going forward, I’ll take further advantage of the professionals who assist with that. I told myself for years that writing a book would be too difficult, that a background in science, nor English, meant I could only write boring, technical pieces. I was wrong. If you have thoughts, put them on paper, over time, they become stories and before you know it, you are a writer. No. I really enjoy the career that I have, doing small things that help keep others from harm. Writing is something that brings me great pleasure. The fact that it brings in extra money to help others is even better. I have had several readers’ state that I “paint with words”. I use a lot of description with a lyrical style that is a common theme in all of my writing. I’m not afraid to open up my life so that others can learn from my mistakes. I can find humor in most anything, which has helped during many trying times, especially sharing a kitchen with my new husband, also a “Type-A” cook. I don’t sit still very well, I’m always on the go, so I have to make time to sit and write. Her books include the #1 Amazon Best Sellers "The Book of Barkley" and "Saving Grace - a Story of Adoption". She also has been awarded the Readers Favorite International Silver Book Award for Excellence in Writing. Exceptionally enlightening, The essential contrast amongst science and craftsmanship is a solitary idea and visit https://www.onlineproofreadingservices.net/online-revising-and-editing-help/ website to get more info. Making of a thing first time is called workmanship and creation of a similar thing again is called science.